I now have created a B+ variant. It is larger, because the required pins are all over the connector. But it still is a relatively small strip of PCB, can be installed without soldering. Logically it can be a HAT, because I added a footprint for the ID EEPROM. Mechanically it isn't, because I wanted all to fit in a normal case, no buildup for an extra board ontop. The TOSLINK transmitter is mounted downwards, to not add height. Like with my other board, it could be mounted "deep" and soldered directly to the header, the transmitter on the top side. But I guess since plugging with 40 pins is quite rigid and needs no soldering, nobody will go for that with B+. However, these components are hard to find, I ordered them from china. I can build some of these, for people who appreciate my work and have good use for it. Before doing so, I need to find a source for the 40 pin connector with a reasonable price. do you have any idea when you will have any of these made/available? Will these work with the "B" model? I will be upgrading to a "B+" soon. How much are you selling them for and can you ship to Canada? I found some on Amazon, £6.85 for 10. These would also be shipped from China. Please include me for one of these. awesome work. I am very interested on getting also one. An alternative (although more expensive) would be to use shield stacking headers. Since the PCB will use all the 40 pin connector, there will be nothing else available for further usage. I will also try to find something in reasonable price too. Thanks for you help about connector sources. Meanwhile I'm settled, got a batch of them for like 0.50€ each. The kind with normal pins, so you can't stack another board on top. Joel has sent me a list of suppliers for longer pins. This is really awesome. Great work. I've been searching all over for this type of solution. I have a project that I could use this in. If you have a spare, I'd be willing to buy 1 or 2. This is just what I've been looking for. Amazing. I would be very interested in getting on of these from you! The board arrived Wednesday last, thanks very much. I fixed it to a pi B+ with piCorePlayer image on the SD card. I found out that the drivers are supported in the HiFiBerry Digi for the B and B+. For the B+ I used … sysdefault:CARD=sndrpihifiberry …as output. Well it works, and as a bonus I found that my DAC supports 192 kHz as default. Only caveat I have is that the pin header is a really tight fit, as in REALLY TIGHT (I bent the end pins on removing the board ). Many thanks for sharing your project with everyone and I wish you lots of success. I popped this on my B+ and within 5 minutes openelec was streaming DTS & AC3 in 5.1 faultlessly. What can I say apart from thanks again. Man in a van wrote: Only caveat I have is that the pin header is a really tight fit, as in REALLY TIGHT (I bent the end pins on removing the board ). I had the same issue with a GertVGA board, I think it's unavoidable with the 40 pin header, with so many connections it will be a tight fit and easy to become frustrated when removing it. Once one end is up you are so relieved that it's moving that you keep pulling on the end that has moved and as a result you bend the pins at the other end (I think that this is what happened in my case at least). I think that if we are patient and careful when removing the 40 pin headers we will avoid bending the pins. Maybe a spray with Servisol lubricant (or similar other product)? Ooh, I want one of these, it's exactly what I've been looking for. Is it possible to get one? I'm new to the forum and don't seem to be able to pm yet? Yes, it's possible to get a board. Do some good postings until you have credibility to send me a PM. I'm not aware of such limitation, probably it works by now, after your first post? Jörg, this is outstanding. It fills a gap that kept me away from the Raspberry Pi for use as a media player. 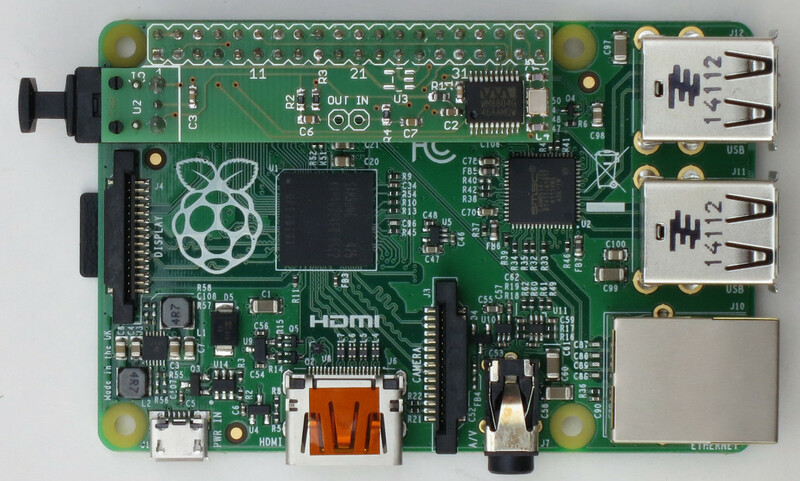 Do you know whether it will work on the Raspberry Pi 2? I just received mine and it is a beauty. Very professionally done, impressive to say the least. In the documentation for the Pi 2 it says it's compatible with the B+ but it would be nice to hear confirmation from IRL trials. markusA wrote: I just received mine and it is a beauty. Very professionally done, impressive to say the least. The official line I've seen is that any hardware add-on that works with a A+/B+ will work with a 2B. The board is identical to the B+ except it's got a BCM2386 chip on the top and a 1GB RAM chip on the bottom. Hi Joerg, this looks really nice! I would love to buy a board from you. I hope I can send you an PM after I have posted this reply. is it using I2S or is the signal transferred by another mehtod (e.g. DA --> AD conversation)? I thought (because all other implementations do it like that) I2S has to be taken from the P5-Header. In general your TinyTOSLINK for Raspy B+ seems to be a really great deal, in order to have a galvanic isolated digital out on the Raspi. 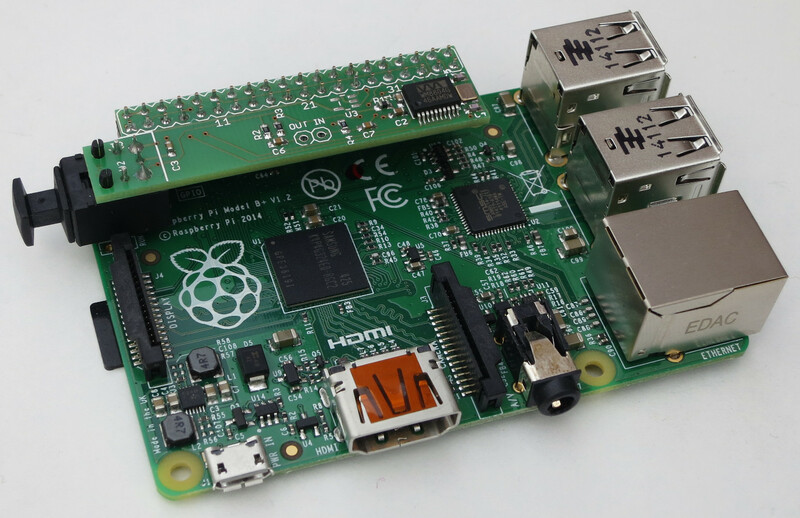 I have tried this with a pi 2 using openelec 5.01. It now has a newer kernel (3.18) that uses a device tree instead of modules. No luck getting the card recognized yet. I will report back if I have any success. With the new kernel the sound cards are configured in a different way. This post explains it succinctly. Hi Richard, thanks for the pointer. Today my Raspberry Pi 2 arrived, and wasn't working out of the box. My distro was freshly upgraded, but still it woudn't boot from the old card. I had to prepare a new one, used Noobs for that. As far as I understand, a device tree is a set of dependencies for drivers. It is defined by a binary file called overlay, placed into /boot. Since this is the FAT32 part of the card, it's now even possible to prepare that on the card under Windows. The overlay file is referenced in a to-be-added line in config.txt. Great Work! I'm really interested in buying one. I just bought a RaspberriPi model B and the only thing it is missing is a decent sound output. This is a great idea for the Pi. How could I get hold of a TinyTOSHLINK board? ?